Approximately 20,000 people joined the rally that day, which celebrated the 55th anniversary of the founding of Japanese Unificationist mission. 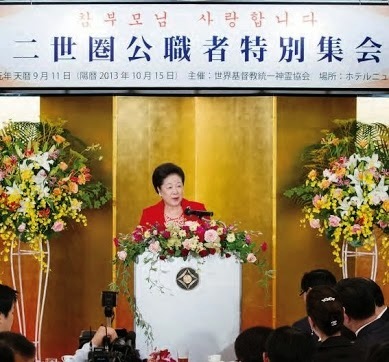 During her speech, True Mother said "Geographically speaking, Japan must be united with Korea." 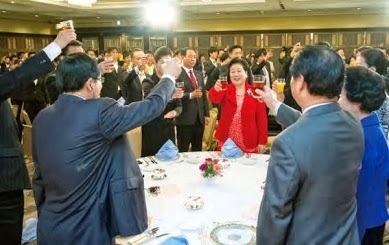 She also said "If Japan covers up past history it can't see the truth and will not have any friends. Japan should be reborn for the sake of the world peace." By mentioning the rise and fall of the Roman Empire, England and others, True Mother said "Any country which received God's blessing has the responsibility which came along with that blessing. Throughout history, we have seen what kind of consequence was brought when such a nation couldn't accomplish its responsibility." 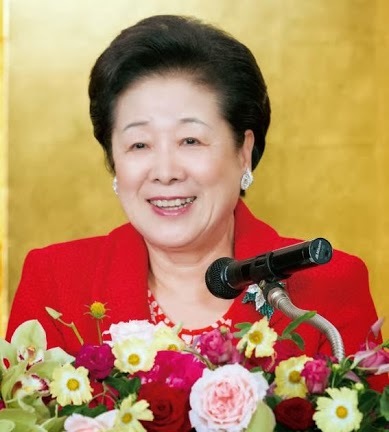 She also said "Japan received the blessing of becoming the Mother nation and shouldn't hold such a blessing only for herself without sharing. Japan must share it with the world completing her mission embracing all the countries as the Mother Nation. Japan must guide people of the world in front of True Parents."